The Skin Revitalizing Center (SRC) is a skin treatment center that specializes in skin rejuvenation, laser treatments and other medical treatments of the skin. They provide the most innovative and in-depth cosmetic services from cosmetic injectables and scelerotherapy to chemical peels and therapeutic facials. The office, located in Grandville, Michigan is a division of the Dermatology Offices of Dr. Jack A. Dekkinga, Dr. Gina C. Ang and Dr. J. Gabriel Vasquez. 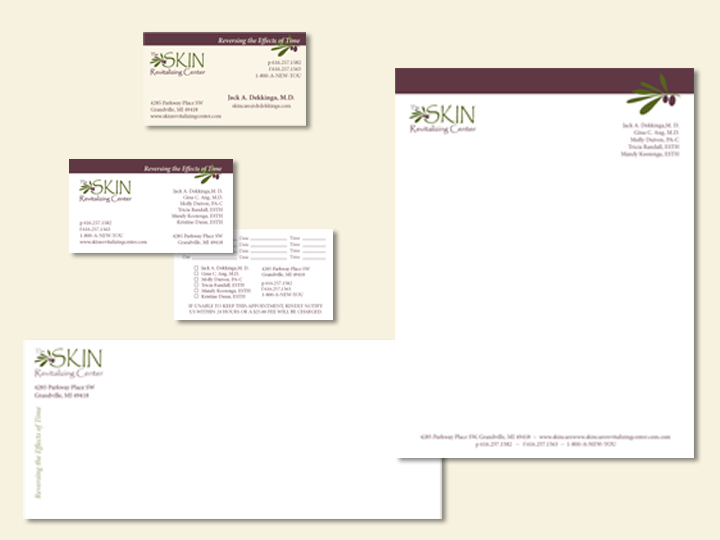 Courtney of Lynx Imaging was hired by the SRC to create and develop the brand of their skin treatment center. The project included a new logo design, identity development and stationery, and a new website. 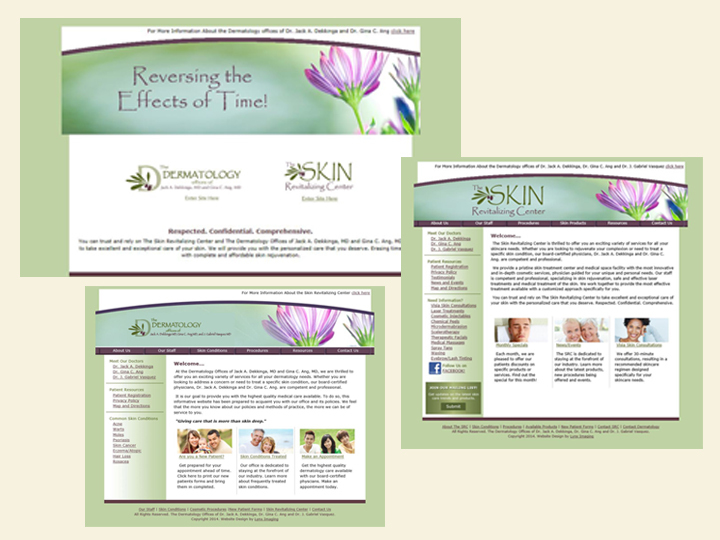 The website itself is a split design to serve both the SRC and the Dermatology Office. Site maintenance and updates have been performed in-house by the client.